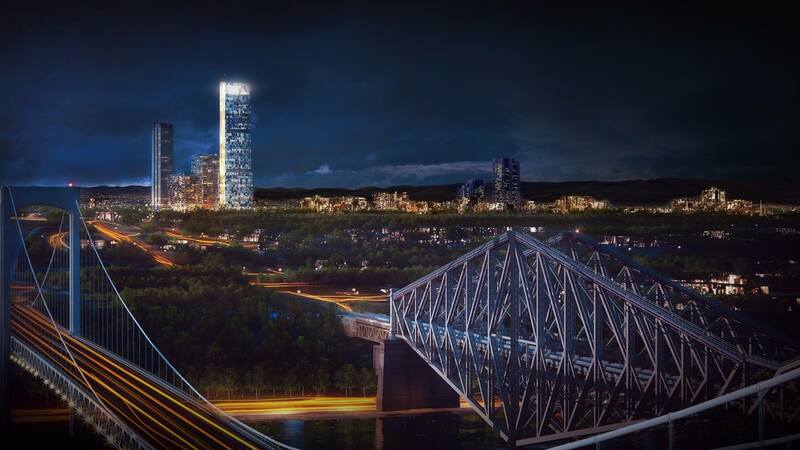 MONTREAL – Quebec City’s centuries-old architecture has earned it a reputation as one of Canada’s most beautiful cities, but opponents of a plan to build the province’s tallest skyscraper fear that is about to change. 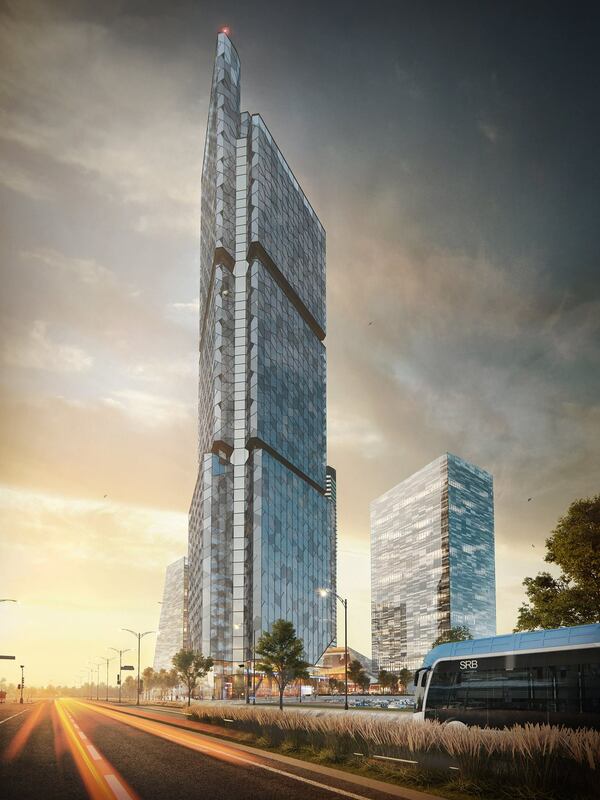 At public meetings this week in the provincial capital, residents questioned whether the desire to project the city as a modern metropolis is clouding the judgment of city hall, which supports plans for the 65-storey building. 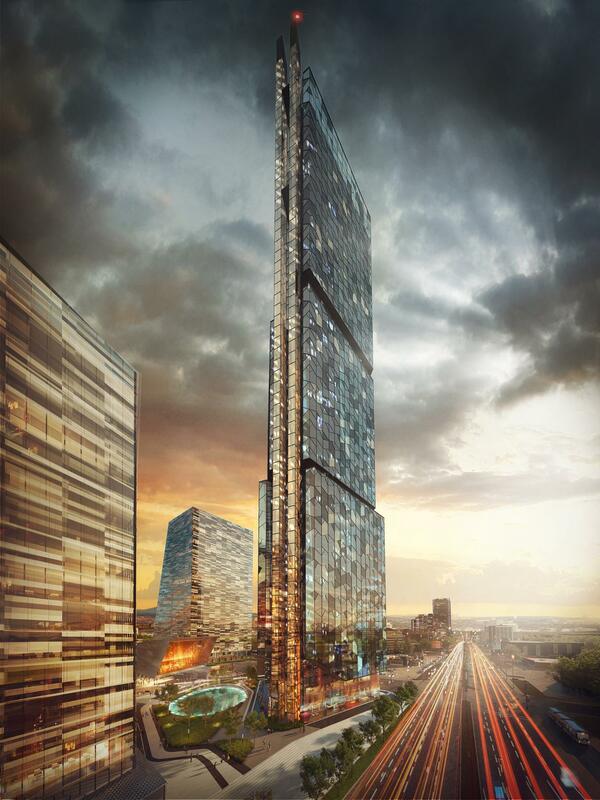 The developer, Groupe Dallaire, describes the $755-million project as a “complete vertical neighbourhood” that will include apartments, offices, hotel rooms, a public square and a concert hall. 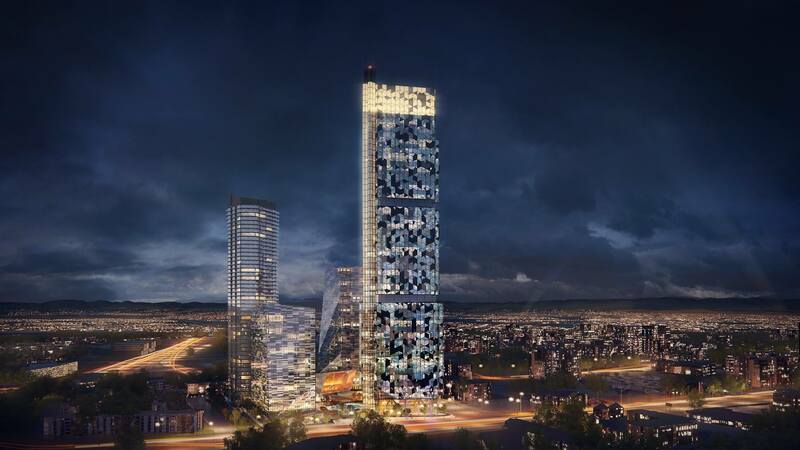 Called “Le Phare ” – French for beacon – it will tower over the surrounding Ste-Foy neighbourhood and the city at large. It will feature an observatory and what the developer is calling the tallest restaurant east of Toronto. 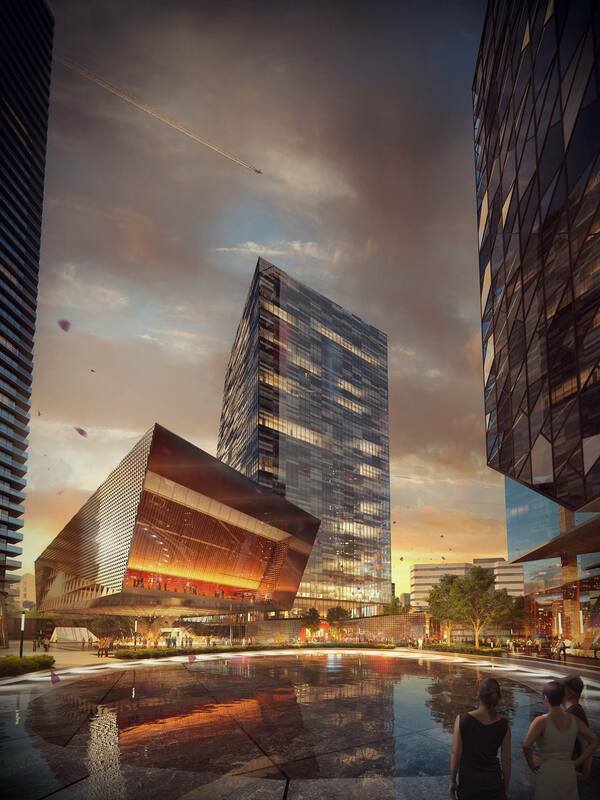 Videos and drawings on the project’s website show four glass-and-metal buildings clustered around a central courtyard, with a three-sided tower soaring above the others. Mayor Regis Labeaume has been a vocal advocate of the project, saying it fits into the city’s “development vision.” It will help create “a dense, mixed, inhabited and living urban centre where quality of life predominates,” Labeaume said in a recent press release. Marchand, who is a former city councillor, said some at the meetings supported the project, but many more felt “betrayed” by the city because it plans to invoke a section of the city charter to sidestep zoning rules that limit new construction to 29 storeys. “There is one set of rules for citizens and another for them,” he said, referring to Groupe Dallaire. The city and the developer both declined interview requests, citing the ongoing consultation process. In documents, the city justifies overriding zoning laws by pointing to the benefits of increased densification, the project’s publicly accessible spaces and a promise to integrate public transit access. Francois Dufaux, an architect and professor at Universite Laval, says the city’s motivation is clear. He said Quebec City does not have the rapidly growing population or soaring land values that might justify the expense and complication of a highrise. Though residents are fiercely proud of the city’s architectural heritage, which includes the Chateau Frontenac and the legislature building, some resent the fact that it is known as a pretty place to visit rather than a player in the modern North American economy, Dufaux said. That makes the city vulnerable to being seduced by big projects, he added, comparing the skyscraper saga to another controversial Quebec City project: a $370 million taxpayer-funded hockey arena, built for an NHL franchise that has yet to materialize. Usually, objections to real-estate developments focus on the concerns of immediate neighbours, such as increased traffic and blocked views. But with this project, impacts well beyond the neighbourhod are feared. 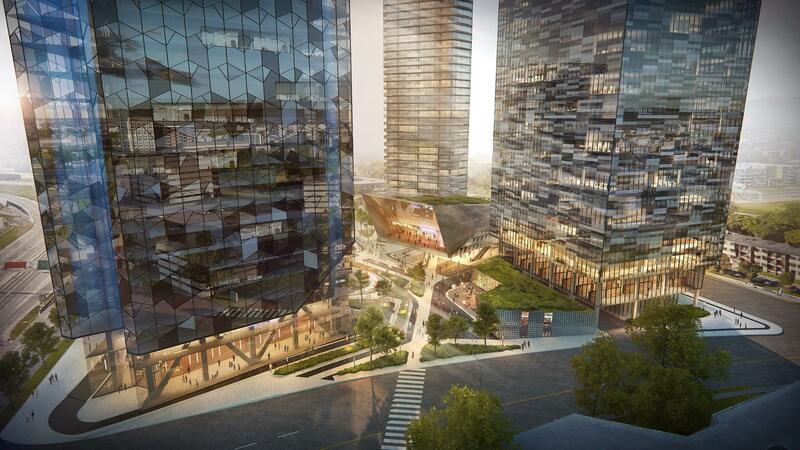 “It will concentrate thousands of square feet of offices, residences, etc. in a single big site,” said Christian Savard, general director of the urban development organization Vivre en Ville.